KAMPALA – Parliamentary Committee on Commissions, Statutory Authorities and State Enterprises (Cosase) is today, Tuesday expected to order the arrest of the former Director of Supervision for Commercial banks at Bank of Uganda, Ms Justine Bagyenda, after she wrote to the legislators, indicating she will not appear before then as she is still abroad. 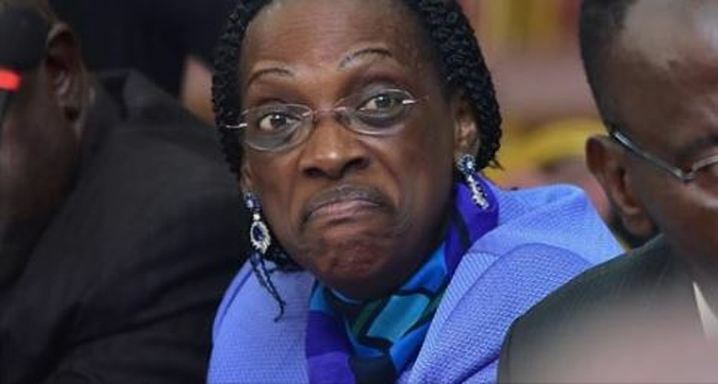 Bagyenda was on November 23 supposed to appear before the MPs investigating the closure of seven commercial banks, including Crane Bank, but she wrote to them, saying she had travelled abroad. In response, the Cosase chairperson, Mr Abdu Katuntu ordered her to appear on Tuesday (November 27) without fail or face arrest. However, Ms Bagyenda has again written to the MPs, indicating that she won’t be able to appear before the committee today because she’s still out of the county until December 13. “Hon. Sir, the current engagement (which is an international summit) I am on was planned long before the Governor’s communication and it is core to my private life. On account of my said engagement and the fact that my air ticket is restricted, I strongly regret my inability to appear before the COSASE on Tuesday, November 27, 2018. My scheduled date of return is December 13, 2018. However, I am working with the airline to get a quick alternative using my restricted ticket, ” reads part of Ms Bagyenda’s letter dated November 23. “With regard to the fact that I did not state in my letter the date of my return, kindly note that I did it on purpose because of security reasons and the relevant security agencies are aware of my security concerns,” her letter adds. While appearing before the committee last Thursday, Ms Bagyenda and another former BoU director for supervision, Ms Margaret Matovu, said they handed over progressive reports on three closed commercial banks at the time of their departure from the central bank, but the Governor, Mr Tumusiime-Mutebile insisted that no such reports were submitted to him. Ms Matovu and Ms Bagyenda told the ongoing parliamentary inquiry into the closure of commercial banks that progressive reports on the liquidation of Cooperative Bank, International Credit Bank and Greenland Bank were submitted to the Governor. Ms Bagyenda also told Cosase that the missing progressive reports on Greenland Bank were given to the board. The committee, however, rejected her explanation and demanded hard copies of the reports she received from Mr Benedict Ssekabira. Ms Bagyenda is also wanted to explain the sale of Crane Bank to dfcu at Shs200b. The unavailability of the progressive reports has become a source of contention because they give details into how BoU downgraded assets of the three banks from Shs117b when they were closed in the 1990s to Shs19b when the central bank did a final Statement of Affairs on the defunct banks in June 2016. Trouble started after her Successor (Tumubweine Twinemanzi) refuted Ms Bagyenda’s claims that the progressive reports were included in her hand over the report. Although the Governor had told MPs that he did not recall receiving progressive reports, on Friday he submitted some documents suspected to be progressive reports. Mr Katuntu is expected to brief the committee tomorrow. 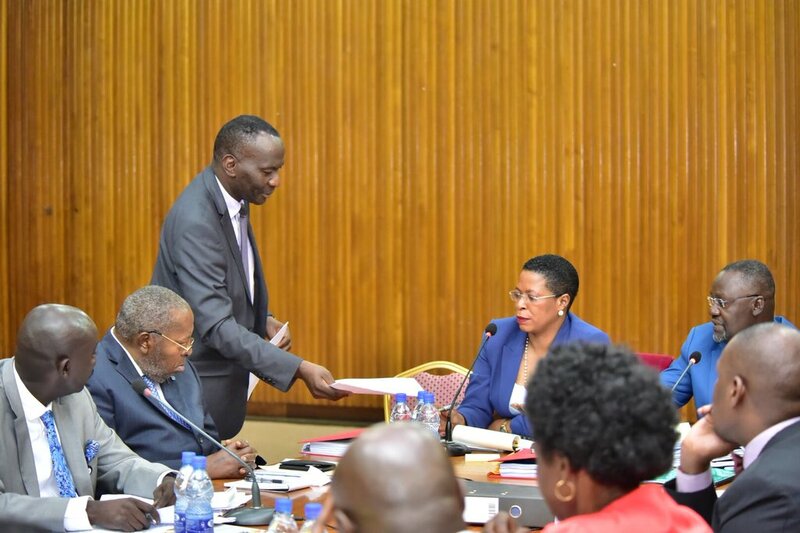 Katuntu will also read Ms Bagyenda’s latest letter to the members before he rules on whether Ms Bagyenda should be arrested and brought to the committee or given more time to appear in December as she “begged”.